Well, I thought I might share my egg roll recipe here today but I realized that we did not take any pictures of the final product last week. I’ve toyed with what other recipe to share today and decided that rather than push it and be rushed getting this post published that I would share a tip with you today. 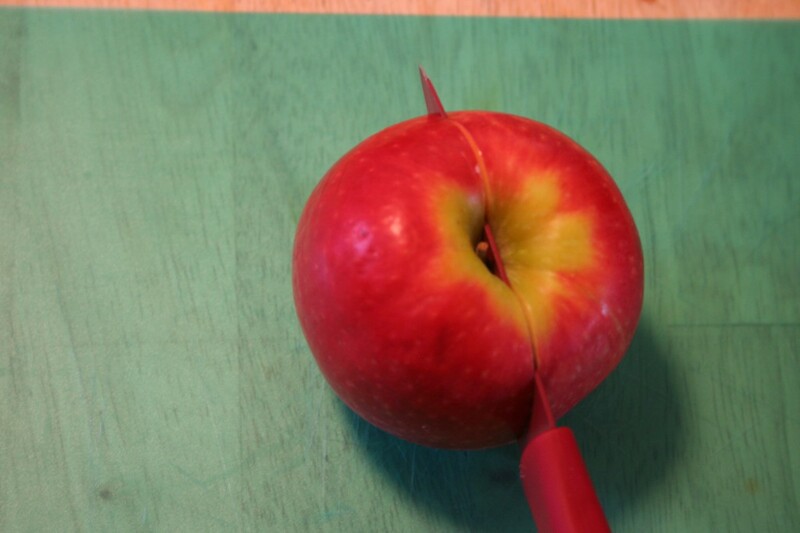 I have broken my fair share of apple corers. So much so, that I have stopped buying them. 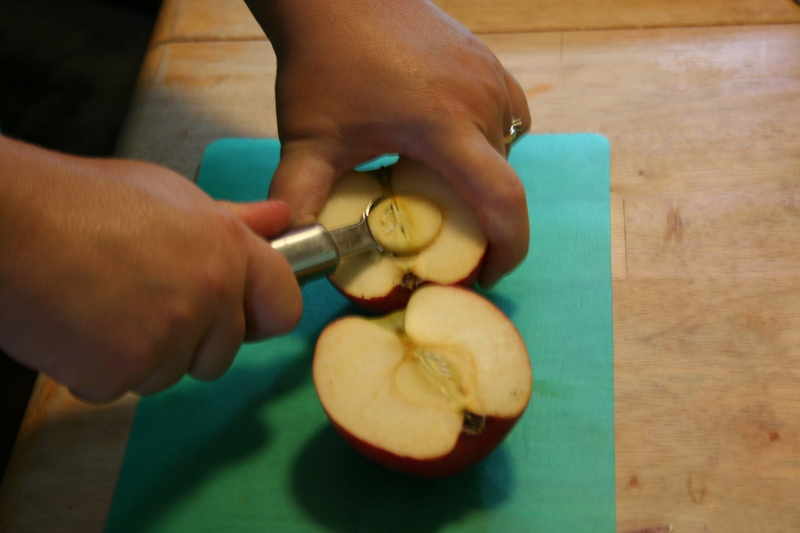 I still have times when I need my apples cored though. I’ve been using this method for so long that I’m not sure if I came up with this on my own or if I read about it online but here it is any way. 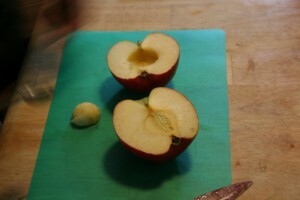 Cut the apple in half pole to pole, from stem to blossom end. 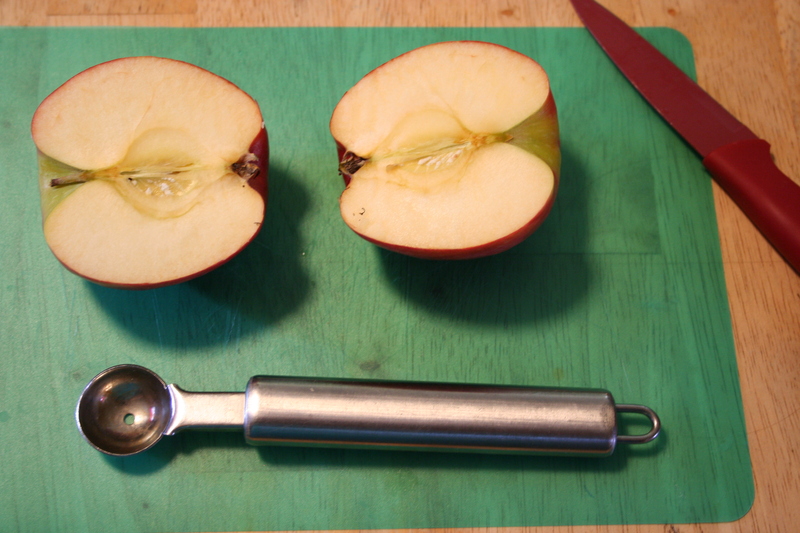 Now, take a melon baller (You know that odd little tool that you keep in your gadget drawer that you never use because you cut your watermelons in slices.) 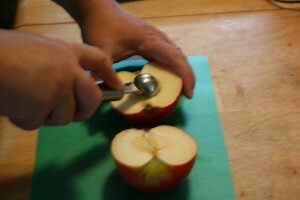 and remove the core from each half of the apple. The last step is to notch out the stem and blossom end. 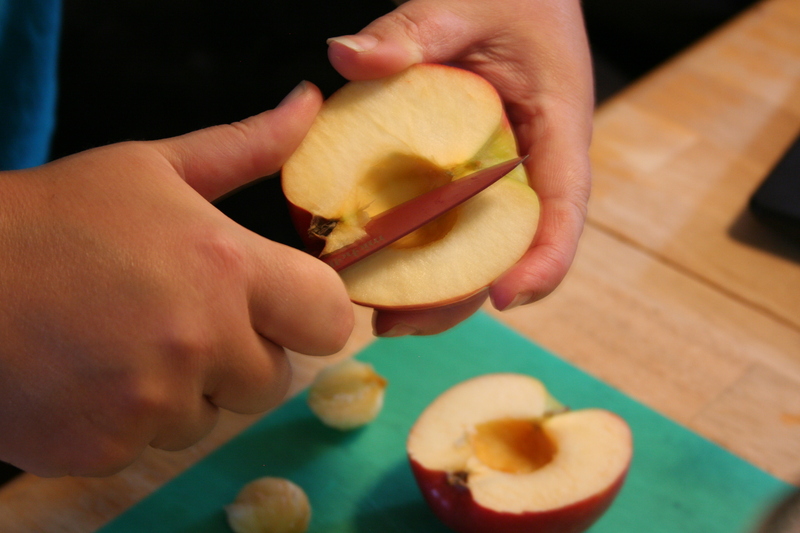 When I make apple pie or apple cake, I peel the apples before cutting or coring. 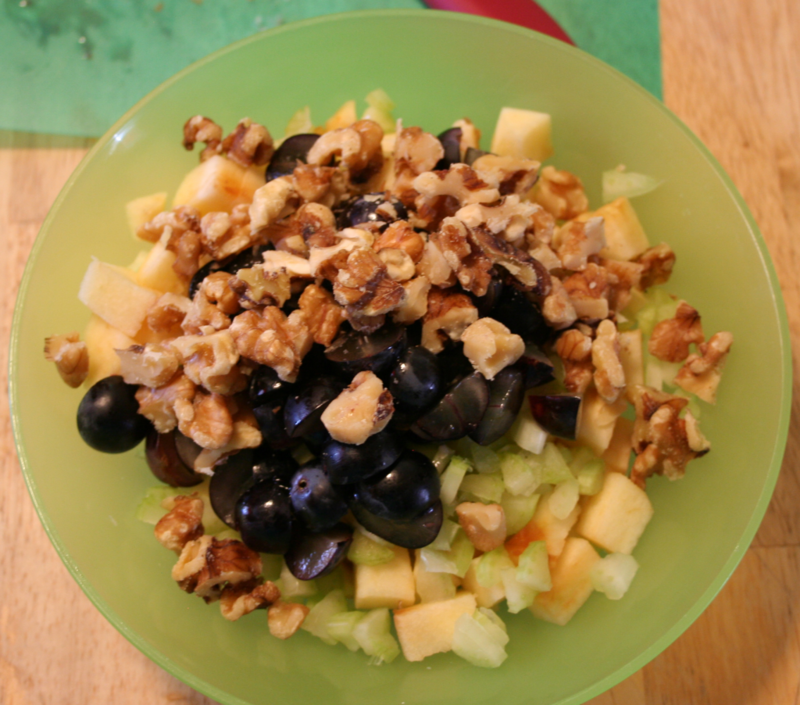 Today I made a Waldorf Salad with my apple. 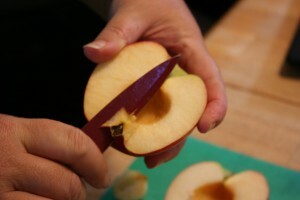 It is very simple to make. 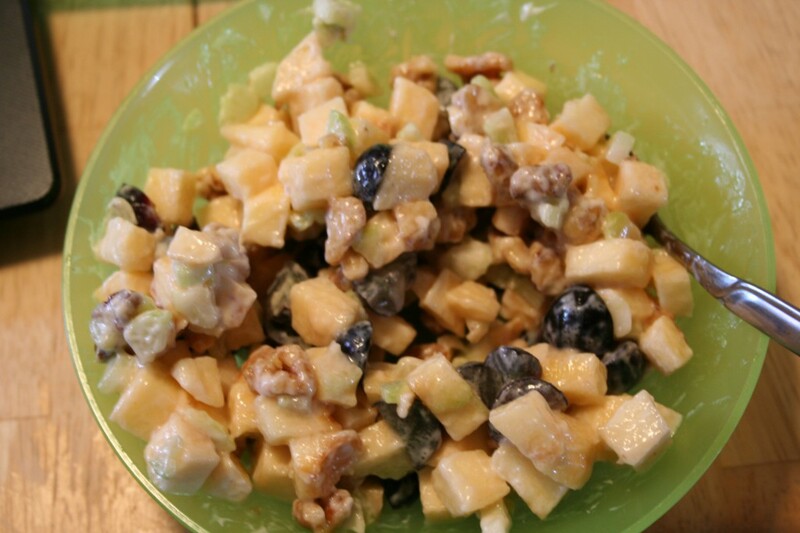 I chopped the apple, finely diced 2/3 of a stalk of celery, cut about 12 grapes in half or fourths, and chopped about 1/3 cup of walnuts. 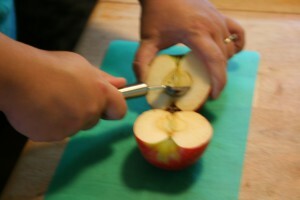 Then I add about 1/3 cup Miracle Whip Salad Dressing, sprinkling of sugar or drizzle of honey, a dash of milk but you could add a dash of lemon juice instead, and a dash of salt (and pepper if you like).